RHFD hosts its annual "Breakfast with Santa" every year in December. Food is served from 8:30 am - 12:00 pm. Kids are able to have their picture taken with Santa from 9:00 - 12:00 with the purchase of an adult plate. Plenty of crafty fun with yarn ornaments, beading, and cookie decorating! Mark your calendars! 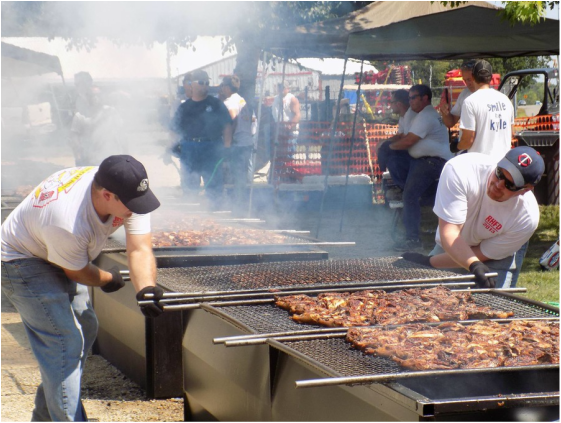 The 52nd Annual Chicken BBQ is scheduled for August 17, 2019. Make sure to get your raffle tickets for your chance to win over $9000 in prizes!